So Lonely in Gorgeous: Purple Velvet All In My Eyes! If you've ever tried Givenchy's beauty line, then you know how luxuriously stellar the brand is! Here's a look I did using two new acquisitions: Givenchy Noir Couture Waterproof 4 in 1 Mascara 2 purple velvet and Le Rouge Intense Color Sensuously Mat Lip Color 309 Croisiere Fuchsia, and an old favorite, Le Prisme Blush 23 Aficionado Peach. Givenchy Noir Couture Waterproof 4 in 1 Mascara 2 purple velvet ¥4,620 ($48.33). 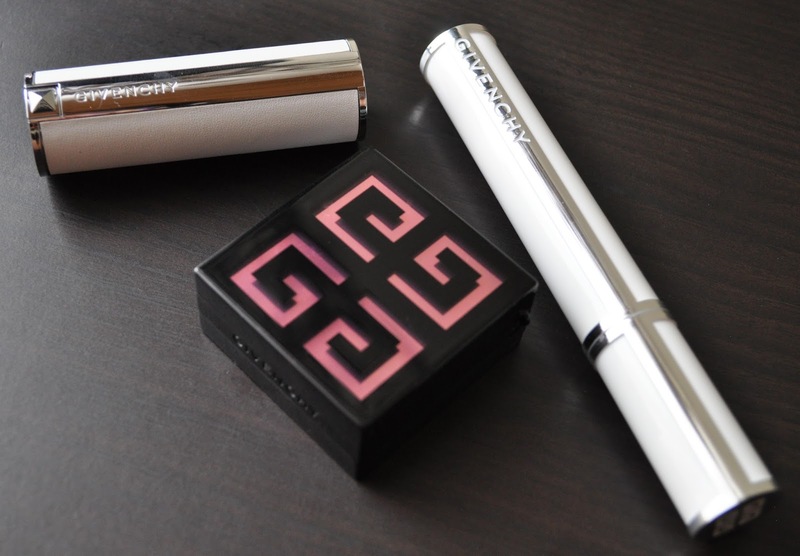 Givenchy's product packaging is always sophisticated and Chic. Love the circular, three-tiered wand. I'm in love with this mascara! 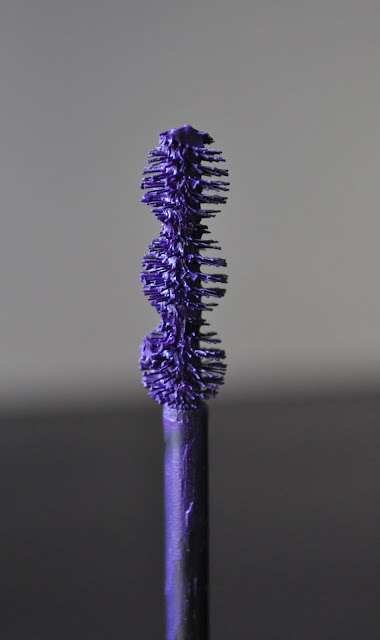 The formula is brilliant; it lifts, lengthens, curls (put those lash curlers away! ), and volumizes. It doesn't clump, smudge, flake, and is water/sweat resistant. I can't attest to the lash care claims because I'm always rotating mascaras, but Noir Couture Waterproof 4 in 1 truly lives up to it's claims. Also, I adore the stunning, vibrant, red-based purple color. Let's admire the stylish, Summer white leather casing. 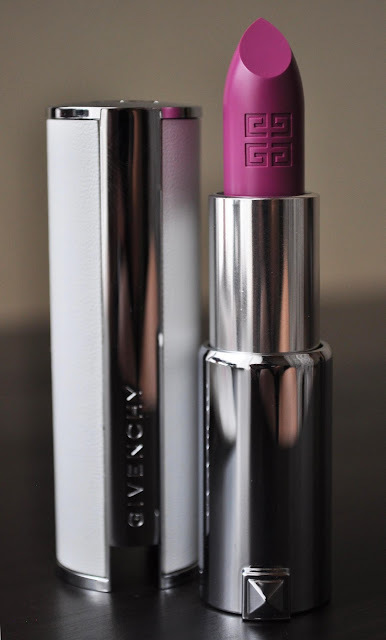 Givenchy Le Rouge 309 Croisiere Fuchsia (limited edition) ¥4,515 ($47.23). Croisiere Fuchsia is a vivid, deep blue-based fuchsia, with a creamy satin finish. I have an ever-growing affinity for the Le Rouge lipsticks; they're very smooth and moisturizing on the lips, and Croisiere Fuchsia is a welcomed addition. 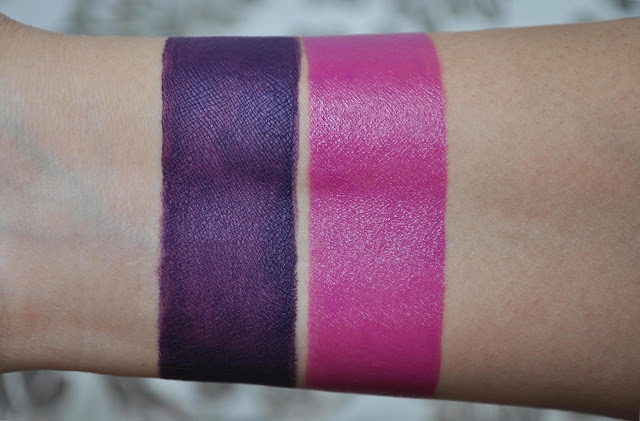 From left to right: Givenchy Noir Couture Waterproof 4 in 1 Mascara 2 purple velvet, Givenchy Le Rouge 309 Croisiere Fuchsia. 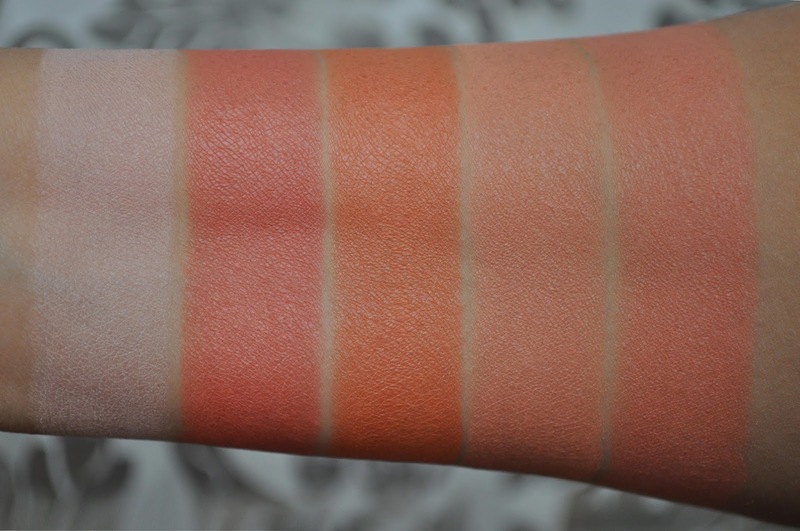 Givenchy's Le Prisme Blush 23 Aficionado Peach ¥6,090 ($63.70), the fifth swatch is all four combined. Givenchy Photo'Perfexion Fluid Foundation in 5-Perfect Praline. 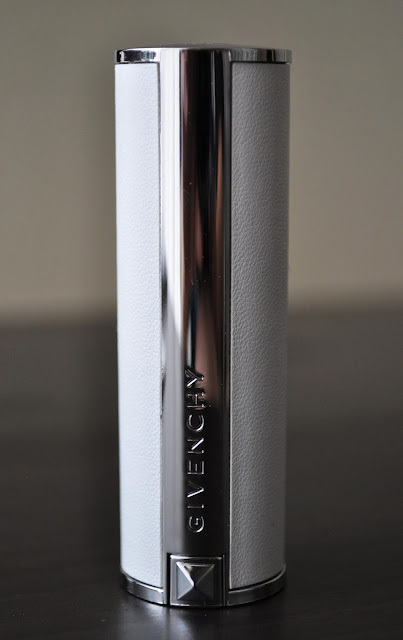 Givenchy Mister Light Instant Light Corrective Pen in 4-Mister Macaroon (on the lids and the undereyes). Givenchy's Le Prisme Blush 23 Aficionado Peach (all four shades mixed together and blending into the crease). MAC Eye Kohl in Resort (used to tightline, as well as on the upper lashline and lower water line). Givenchy Noir Couture Waterproof 4 in 1 Mascara 2 purple velvet. Givenchy Le Rouge Intense Color Sensuously Mat Lip Color in 309 Croisiere Fuchsia. I'm in LOVE with these products! OMG!! Do you ever NOT look gorgeous?? If I tried to pull off a look like this they'd probably carry me off in a straight jacket! 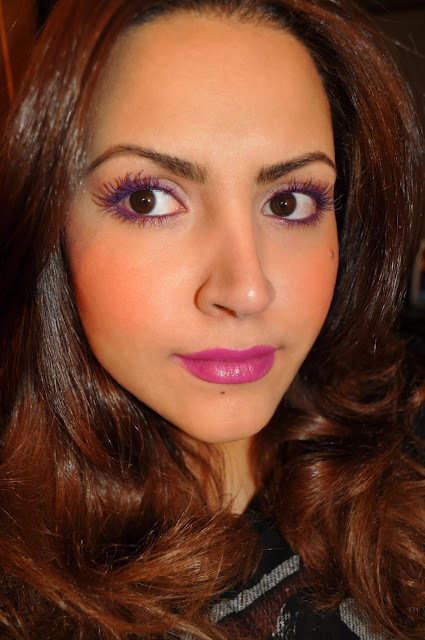 I'm in love with this purple mascara! Ditto on collecting the Le Rouge line, LOVE them! That mascara really makes your eyes stand out! I think I'm going to marry this mascara! It all looks UH-MAZE-ZING! Seriously! woah that mascara looks amazing !